Make sure your customers have the highest-quality fire sprinkler pipe: Schedule 40 pipe, made in America of 100% steel. 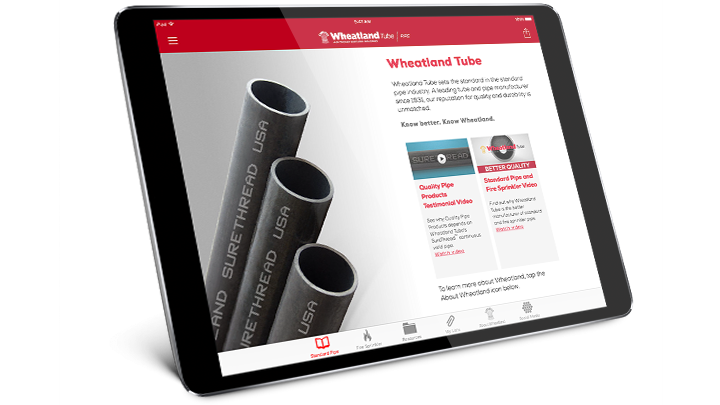 When your customers use Wheatland Tube’s Schedule 40, they have the assurance it’s UL® and C-UL Listed, FM approved, and meets ASTM A795 standards. 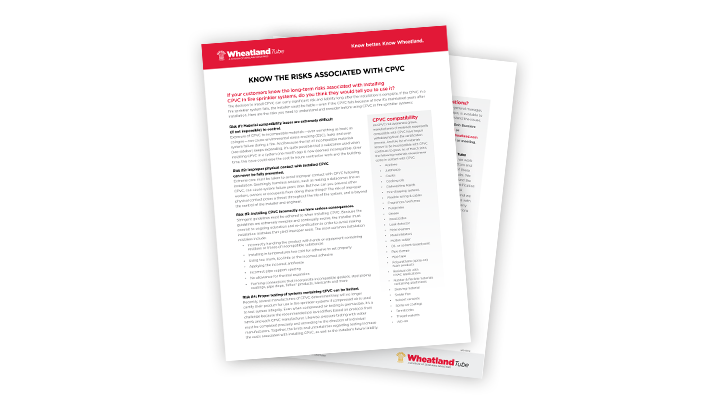 It outperforms and outlasts standard lacquer-coated pipe, and it’s manufactured with our proprietary MIC Shield™ antimicrobial coating to limit corrosion from microbes. Schedule 40 pipe is available in hot-dip galvanized or black, and is easily painted without special preparation. See all of our Schedule 40 resources.